How valuable is a closer really in today’s game? 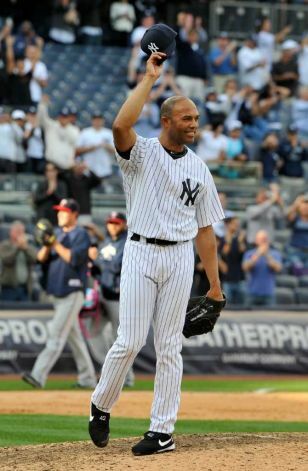 The game’s greatest of all-time, Mariano Rivera, has thrown more than 80 innings in a season exactly once in his career, when he tossed 80.2 in 2001. The best starting pitchers throw as many as three times that amount every season. Closers almost exclusively take the ball with the lead and for only one inning in a game. From 1969, when the save was first made a statistic, through 1985, one-inning saves made up just 21 percent of all saves. That number has progressed ever since to a record-high of 85.3 percent this season. How can a pitcher like Mariano Rivera be considered one of the greatest ever when starting pitchers throw as many as three-to-four times the amount of innings every season? There have been too many times to count when we have heard an announcer say something along the lines of, “Joe Torre (or Girardi) is not going to wait any longer. He is bringing in Rivera right now.” In the era of one-inning closers, Mariano Rivera has defied common logic from managers. He has 116 career saves of more than one inning. Since 1994, when the era of the one-inning save began, Keith Foulke is next on the list with 55 saves of more than one inning. Mariano Rivera has extinguished more rallies than any other reliever, most often when the stakes are highest, in the postseason. Opposing hitters possess a .176/.213/.229 batting line against Rivera in the playoffs. Fifty-eight of his 94 postseason appearances have been for longer than an inning. Thirty-three of them have been two innings or more. Of his 42 playoff saves, 31 of them have been longer than one inning. Countless times has Rivera come into a ballgame with the Yankees’ postseason lives on the line and countless times has he led them to survive another inning, another game, another series. The New York Yankees have won four World Series championships since Rivera became their full-time closer in 1997. Without him waiting as a security blanket for the late-innings, when the pressure is highest, it’s impossible to know exactly how New York would have been affected, but there’s a chance that without Rivera, the Yankees might have won none of those titles. The ultimate goal of sport is to win, and Mariano Rivera, reliever or not, is as big a reason as any why the Yankees have been so successful in not only making the postseason, but winning championships. Rivera not only has great statistics, but he completely dwarfs almost everyone in each pitching category. Obviously, he has 602 saves, the most all-time. The closest active pitcher to that would be Francisco Cordero, who is 279 saves behind him with 323. 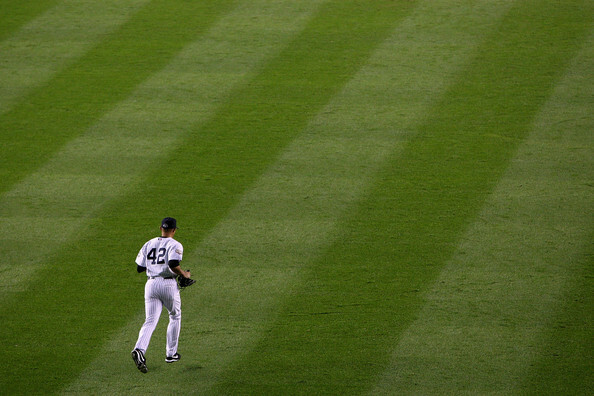 Another way of looking at it is Mariano Rivera has 86.4 percent more saves than anyone else. The greatest margin over the closest active player by anyone who broke a record at the time player in any category? That would be Walter Johnson, who when he broke the strikeouts record in 1921, had 57.5 percent more punch outs than Grover Cleveland Alexander, who was second amongst active pitchers. Rivera has also thrown a total of 1,209 regular season innings in his career. He has faced 4,806 batters and allowed only 1,207 of them to reach base. He owns a career WHIP of 0.998. There have been only two pitchers in major league history to throw more than 1,000 innings and have a career WHIP below 1.00; one is Addie Joss (0.97), who last pitched in 1910 and the other is Big Ed Walsh (0.9996), who threw his final pitch in 1917. Including this season, Rivera has eight years with a WHIP below 1.00. Billy Wagner is the only other relief pitcher to accomplish that and Walter Johnson, who has nine seasons with a WHIP below 1.00, is the only pitcher in history to succeed that. 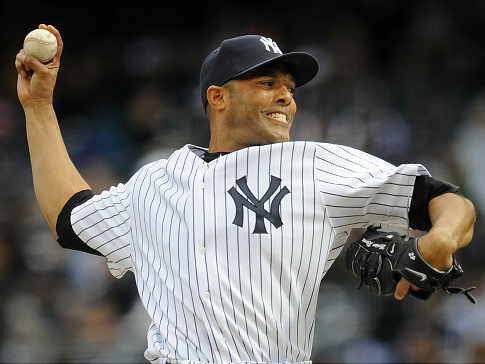 Mariano Rivera has also had 10 seasons in which he has finished with an ERA below 2.00. The next closest relievers to him (in seasons of 50 innings or more) are Wagner and Hoyt Wilhelm, who each had six such seasons. If Rivera can keep his current 1.98 ERA south of 2.00 for the final 10 games of the season, he would tie Johnson for the most seasons ever with an ERA below 2.00 with 11. Even in more modern statistics, no one comes even close to Rivera. He has a career Adjusted ERA-Plus of 205. The average major league pitcher has an Adjusted ERA-Plus of 100, meaning over the course of his career, Rivera has been twice as good as the average pitcher. The closest to Rivera in career Adjusted ERA-Plus is Pedro Martinez, who has a career mark of 154. Only one active starting pitcher, Zack Greinke in 2009, has had a year in which they’ve been as good as Rivera has for his entire career. Rivera has compiled 12 seasons with an Adjusted ERA-Plus of at least 205. The only active closers who have had at least two seasons with an Adjusted ERA-Plus that good are Joe Nathan (five) and Jonathan Papelbon (three). The conventional way to measure a closer’s value is by the save statistic. 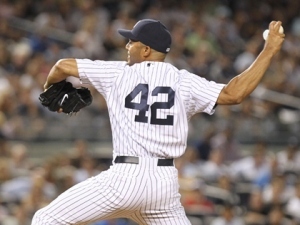 Mariano Rivera has reached the summit of that mark with 602 career saves. However, it’s Rivera’s postseason brilliance, his ability to defy age and the conventional wisdom of how to use closers and statistical dominance in almost every category that prove that relief pitchers can provide an incredible amount of value despite not pitching nearly as often as a starting pitcher. Mariano Rivera may not have started many games on the mound in his career, but his ability to finish them proves he has been just as valuable as any other starting pitcher during his career. This entry was posted on September 20, 2011 by Scott Kornberg. It was filed under Mariano Rivera, New York Yankees and was tagged with 602, 602 saves, all-time saves leader, Mariano Rivera, New York Yankees, Rivera, Scott Kornberg, yankees.